MeMe’s High Desert Toner begins as an infusion of wild catnip, marshmallow root, and dandelion leaf^ which we blend with soothing rosewater, moisturizing organic vegetable glycerin, and naturally astringent organic witch hazel distillate. 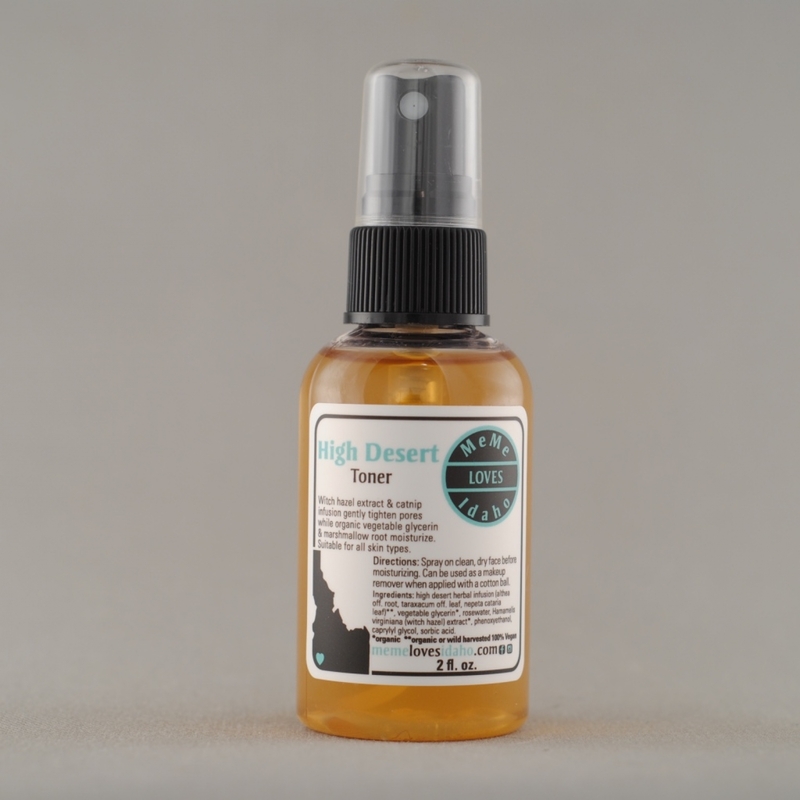 High Desert Toner is suitable for all skin types. Spray on after cleansing with Flora & Fire or our Honey Face Wash. Follow the Toner with one of our mosisturisers: St. John’s Face Creme (for normal to oily skin) or Wild Rose Face Creme (for normal to dry skin). 2 oz atomizer bottle. Vegan. Gluten & Paraben Free.